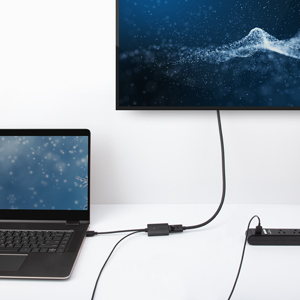 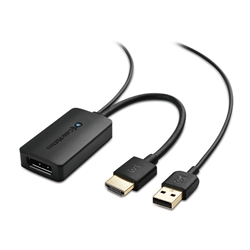 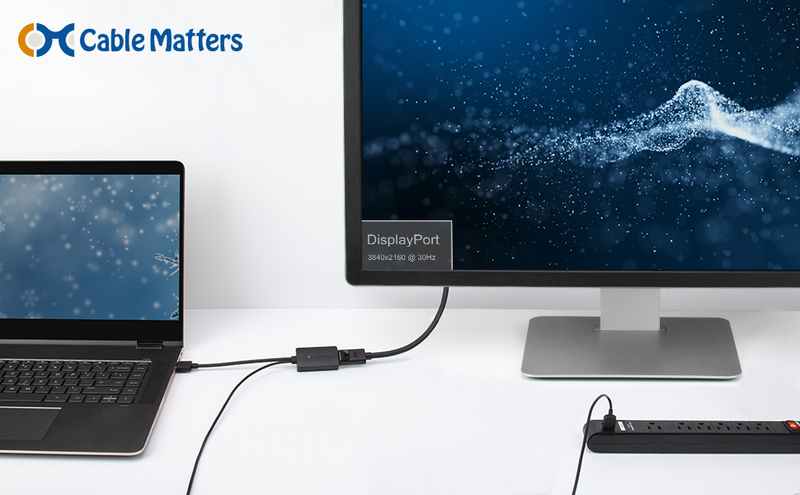 The Cable Matters HDMI to DisplayPort Adapter provides a simple solution for connecting a laptop with an HDMI port to a DisplayPort monitor. 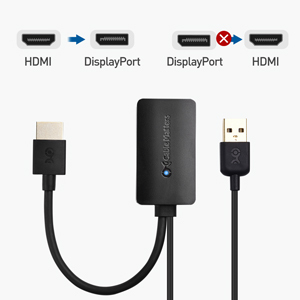 Connect a USB cable to a computer USB port or USB wall charger to power the conversion from HDMI to DisplayPort. 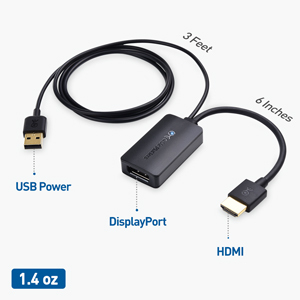 This cable is NOT bi-directional. 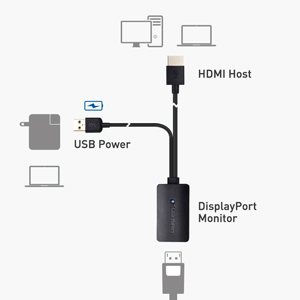 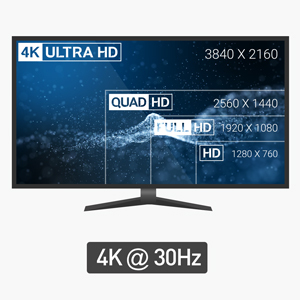 It only operates from an HDMI source to a DisplayPort monitor.